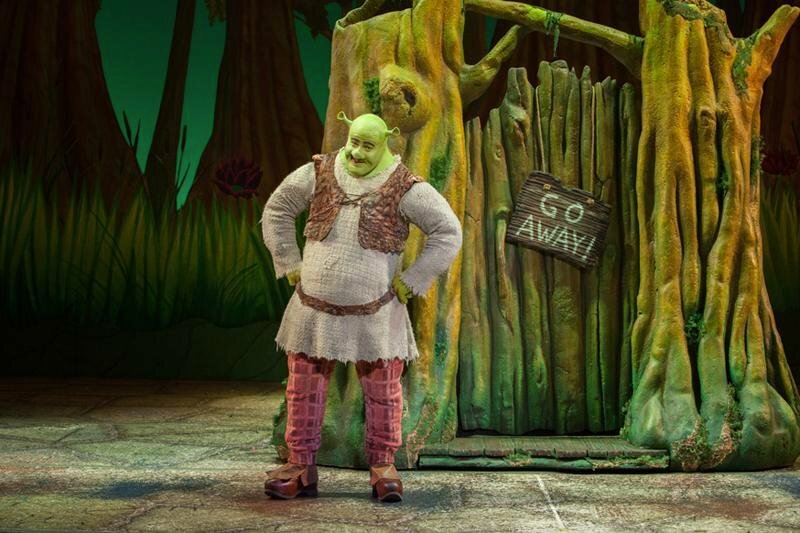 Perry Sook performs as Shrek during "Shrek the Musical's" 2013 tour. The Dolphin Show will bring the musical to Northwestern's Cahn Auditorium early next year. “We wanted to do something magical, something that could have a huge audience, something that could appeal to little kids and grandmas,” said Dolphin Show director Marlee Rich, a Communication senior. The musical, which was announced last week as this year’s Dolphin Show selection, is based on the 2001 film of the same name. It was written by David Lindsay-Abaire with music by Jeanine Tesori. The Dolphin Show, now in its 72nd year of production, is the largest student-run theater production in the country. Show spokeswoman Maddie Ambrose said one reason “Shrek the Musical” was chosen is the story’s popularity among many different age groups. She said the comedic fairy tale musical is an opportunity for the Dolphin Show to put on a show that will interest people from outside “the normal theater-going community,” particularly children. “Maybe this will be their first production,” she said. Ambrose noted that the musical is contemporary, a change from the productions of the past several years. Artistic producer Brandon Johnston said he and business producer Rachel Marchant, both Communication seniors, are interested in newer work. Rich and the producers said the selection will allow them to attract diverse forms of talent from the student body. Johnston said “Shrek the Musical” also “offers a lot of exciting opportunities for designers” with both challenges and artistic freedom. Now that the show has been announced, Rich said the next steps in the production are meeting with designers, analyzing the script, planning rehearsal schedules and holding auditions, which will take place Oct. 4 to 6. The producers said they look forward to a wide variety of audience members as well as the sense of community generated by working with a large group of people. The show will run Jan. 24 to Feb. 1 in Cahn Auditorium.